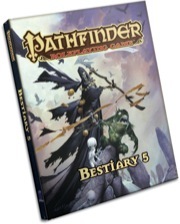 Pathfinder’s Bestiary V Is Here! 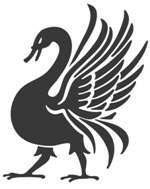 300 more monsters for the Pathfinder Roleplaying Game! The Pathfinder Roleplaying Game Bestiary V turned up at my door yesterday! I’m particularly excited about this because the book is my first Paizo hardback credit. While I’ve worked for Paizo before, that was in the dim distant times of Dungeon (and Dragon) Magazine. This is my first Paizo Pathfinder gig. In any event, you can grab the Pathfinder Roleplaying Game Bestiary V at Amazon US or Amazon UK. I’m also pretty sure Paizo also has copies! I did the same thing with my monsters and turnovers! Well played, sir. Well played!